Independent Cllr Kieran McCarthy has praised the ongoing work programme on St Patrick’s Bridge. “Phase one is about to be completed and Phase 2 of the works includes for the repair, restoration and renewal of substantive elements of the bridge is to begin from late June onwards. The Bridge is a key landmark in the city and a crucial piece of infrastructure into and out of the city centre island. Investing in its future is very important”. 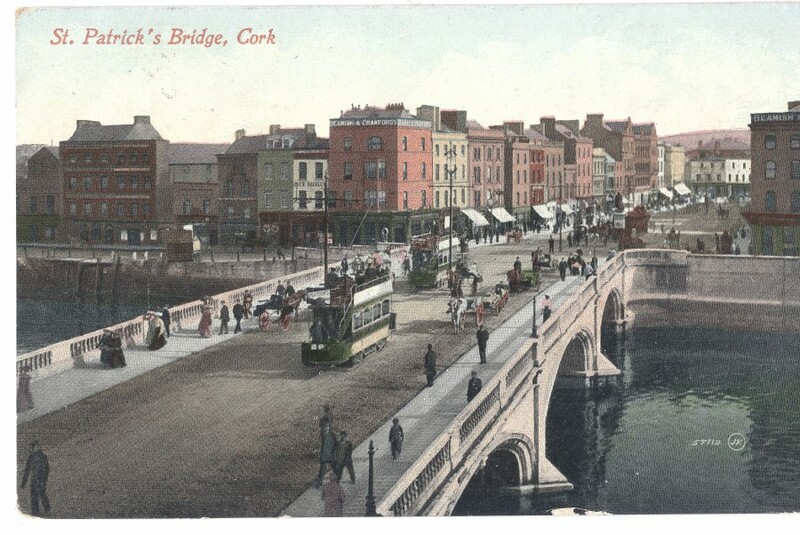 A report by Gerry O’Beirne, Cork City Council’s Director of Roads and Transportation, last Monday revealed that works commenced on site in February 2018 with the careful removal of heritage lamp standards located on the bridge parapet. They, together with a further four in storage, were dispatched to lighting restoration specialists, Neri, based in northern Italy, for repair and restoration. Works involved the cleaning, repair and restoration of the lighting standards and their protection and repainting under factory conditions. As part of this process, a mould was also created to make additional duplicate columns. Upon completion, 12 restored/replicated standards are to be returned to the bridge complete with new lantern heads with LED fittings where they will be remounted under Phase 2 of the works in their original positions as when the bridge was first constructed. These works are now well advanced, with the 12 restored/replicated standards and lantern heads due for delivery to Cork City Council in late June 2018. Following a competitive tender process, Cork City Council appointed SSE Airtricity Solutions Ltd.to undertake Phase 1 of the project. The project is fully funded by Transport Infrastructure Ireland. Cllr McCarthy noted: “the bridge opened in 1861 and is representative of nineteenth century design and construction. Its restoration must be sympathetic to these values as well as to its unique heritage and historical importance. The structure is included in the Record of Protected Structures and is listed in the National Inventory of Architectural Heritage. I am looking forward to seeing the return of the lamp standards”. “It is also important that the three elliptical ashlar limestone arches are checked and repaired. They have some really beautiful carved keystones of St Patrick, St. Bridget, Neptune and three sea goddesses, as well as carved limestone balustrades and v-shaped cut waters to the upstream and downstream elevations”. Phase two of the works on St Patrick’s Bridge will be overseen by Cumnor Construction Ltd. The works include for the repair, restoration and renewal of substantive elements of the main structure as follows: Removal of all vegetation and algae from stonework. Cleaning of stonework, including carbon deposits. Repair and replacement of damaged or missing sections of stonework. Repointing of missing or defective masonry joints. Replacement of statutory and directional signage. Replacement of footway surfacing and kerb stones. Replacement of existing traffic signals on northern junction. Repainting section of pedestrian barrier railing on Merchants Quay. Waterproofing of existing reinforced concrete slab. Replacement of carriageway surfacing and road markings. Installation of newly refurbished heritage lighting standards and lanterns on bridge parapets. Erection of Public Lighting Columns and Lanterns within the eastern (downstream) footway. Installation of new elevation lighting. Cabling, conduits, ducting, meters, mini pillars and all electrical works for lighting elements.